Jeff Mays is a reporter/producer for DNAInfo covering politics. He formerly covered Harlem. Previously he was a reporter for The Star-Ledger of New Jersey where he covered Newark City Hall and Mayor Cory Booker. 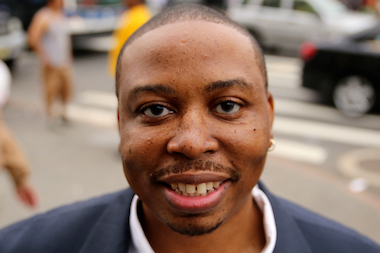 A graduate of Columbia University's Graduate School of Journalism, Jeff was named The Star-Ledger's Dee Murphy reporter of the year, the paper's highest honor, the Garden State Association of Black Journalists reporter of the year and is the recipient of national reporting awards from the National Association of Black Journalists. Mays was also named an IRE fellow. Jeff's work has appeared in The New York Times and Wired magazine. Born in Brooklyn, Jeff grew up in Coney Island. He lives in Harlem with his wife, a nurse practitioner. Fun Fact: When he was in college, musician and actress Lauryn Hill once told Jeff that he should pursue a career as a rapper after he (won) held his own in a freestyle rap battle with musician and producer Wyclef Jean. Stringer said de Blasio's homelessness plan reboot is the most important speech of his mayoralty. Advocates say the new rules make it easier to deport immigrants with less judicial oversight. The mayor's comments came in the wake of a study naming the expressway as the worst road in the country. The election is still months away, but the mayor took a swipe at his GOP rival on Tuesday. Hansell plans to bring a "management approach" to one of the most complicated agencies in the city. The Rent Stabilization Association argued that the credit was unfair. The council speaker also introduced a plan to purge all summonses older than 10 years.